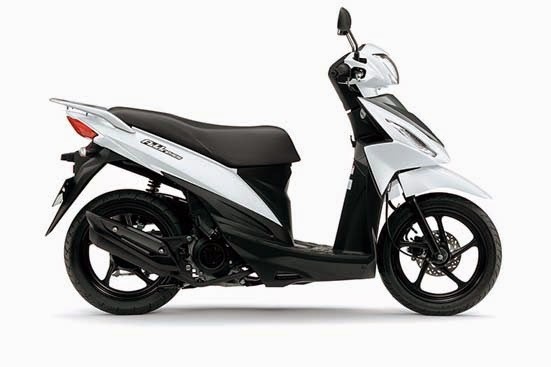 Suzuki Address 110 Specifications - Suzuki Address is a motor scooter from Suzuki that comes with a sleek design and stylish fuel efficient and equipped with modern tech features and capability which makes Suzuki Address looks more luxurious. 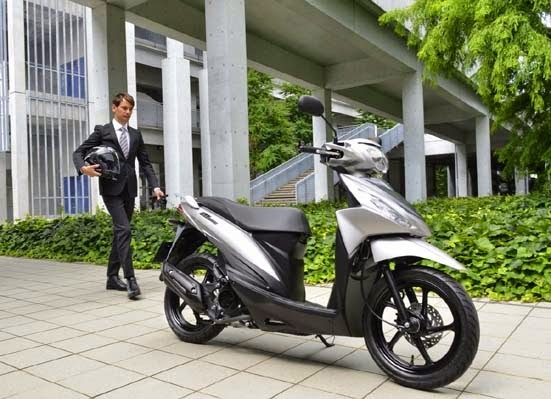 Large fuel tank and high fuel efficiency: Equipped with a large-capacity 5.2 litre (1.14 gallon) fuel tank, the 139 mpg* fuel efficient engine propels the new Address 110 up to an astonishing 159 miles on a single tank. Storage: Stash your full face helmet, rain gear and other items in the roomy 20.6 litre utility compartment, generously designed for extra spaciousness and convenience. There's also even more space from left (600 ml) and right (500 ml) storage compartments located below the ignition barrel. Comfort: The new streamlined dimensions are built with generous comfort in mind. What's more, the Address 110’s floor boards have plenty of space for adjusting your foot position. 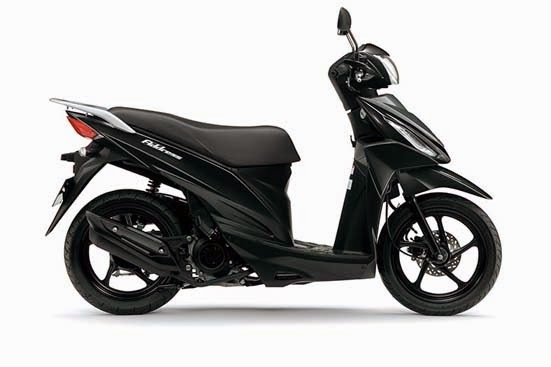 Youthful Styling: Finely designed edges and slender lines run along the body, leg shield and mudguard giving youthful personality that makes you stand out where ever you go. 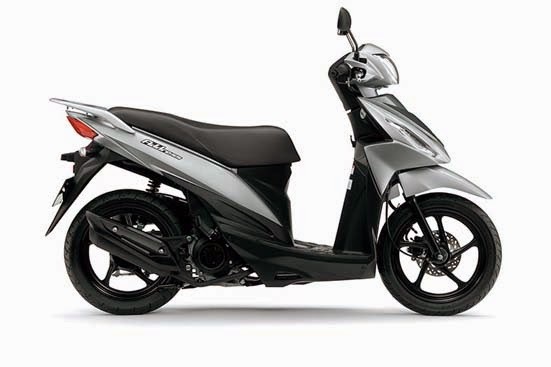 Covered key with seat opener: The ignition key hole is covered to help prevent motorcycle theft and provides easy access to the under seat compartment using the main ignition keyhole, eliminating the need to remove the key to open the seat compartment. Rear carrier: A large-capacity rear carrier comes as standard equipment and can be fitted with a genuine accessory top case for even more practical storage.